We have been discussing Luther’s disrespect for Scripture and especially the way that he viewed the Canon. “Luther treated Scripture with amazing freedom, with so much freedom indeed that one wonders why he did not disrupt the canon. Tradition at this point was presumably too strong for him”, Roland Bainton, Studies on the Reformation, pg. 5 Bainton, who normally gives Luther every break possible, makes a startling admission, admitting that he believes that Luther might have changed the canon if he thought he could get away with it. Perhaps you have had a monologue on this, be we certainly haven't been having a discussion on it. How about that! Tradition was strong for him. That's not what the quote says. He doesn't say "change" the canon. He says "disrupt". the only way I might disagree with Bainton is I don't believe Luther had the power to change the canon. And Luther's response to Tradition is precisely what I've been saying: Luther had the Catholic liberty to challenge and even dispute the canon prior to Trent, just like any other Catholic, and this he did while frequently stating it was his opinion, and in the end, he responds and defers to the Tradition of the western Church by seeing to it that all 73 books are translated and included, except for the arrangement of the books, and the addition of the Prayer of Manasseh. I happen to have the book in question by Roland Bainton. There is nothing in Bainton's essay "The Bible and the Reformation" [Studies on the Reformation (Boston: Beacon Press, 1963)] that suggests "he believes that Luther might have changed the canon if he thought he could get away with it," and for that matter, "Bainton, who normally gives Luther every break possible," actually Bainton presents a short essay that includes critical reflection. The actual comment on Luther and the canon is more of a passing comment that was part of Bainton's broad overview on who had the authority to interpret the Bible during the Reformation period. Bainton points out that "Luther epitomized two centuries of antipapal critique" (p.4); that is, Luther wasn't doing anything new when he questioned whether or not the pope had the infallible ability to interpret the Bible, this debate had been going on for quite some time. Bainton presents the argument given back to the Reformers that the church created the canon, therefore she had such infallible authority. 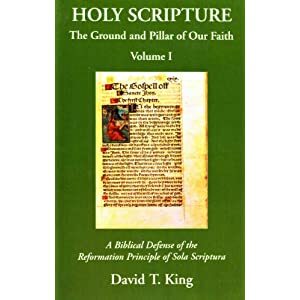 Bainton says the Reformers countered that the Gospel or "Word" made the church, so the Gospel or "Word" is above the church, and therefore the church must be submit to the authority of the Gospel or "Word." Bainton cites "a canon lawyer at the Council of Basel" who had earlier reflected Luther's view "in matters touching the faith, the word of a single person is to be preferred to that of a pope, if that person is moved by sounder arguments from the Old Testament and the New Testament" (p.4). The point is that this issue of Biblical interpretative authority was nothing new when Luther showed up on the radar. As JonNC has explained the canon was also a related issue during this time period. Luther's solution was (in part) to evaluate the canon by the "Word." When Luther did so, certain books accepted by broad Tradition appeared to lack a pedigree of containing the "Word," but as Bainton points out, "Tradition at this point was presumably too strong for him." In essence, one sees that Luther was being cautious (for instance, simply compare Luther's early preface to Revelation with the later revision). How was it that [Luther] came to consider the question of the canon at all? There were a number of factors that almost compelled him to do so. Towards the end of the middle ages uncertainty had arisen in the Church not only concerning the canonicity of the Old Testament Apocrypha but also concerning the extent of the New Testament Canon; an uncertainty that existed in actual usage rather than in the attitude of the official Church. Many medieval Bible manuscripts included a fifth Gospel, the Gospel of Nicodemus; many manuscripts and all the printed German Bibles included an additional epistle of St. Paul, the so-called Epistle to the Laodiceans, which is even to be found as late as 1544 in Dietenberger's Roman Catholic translation of the Bible [M. Reu, Luther’s German Bible: An Historical Presentation Together with a collection of Sources (Ohio: The Lutheran Book Concern, 1934), 175]. One of the big questions as I see it is not, "Why did Luther question the contents of the canon?" but rather, "Given the historical situation in the 16th Century, why wouldn't Luther question the contents of the Bible?" The entire credibility and infallibility of the papacy was a major issue, and had been so for quite some time before Luther came on the scene. He inherited the issues of his day, like we inherit the issues of ours.